A cute 100% soft cotton baby romper and hat set for your new baby. 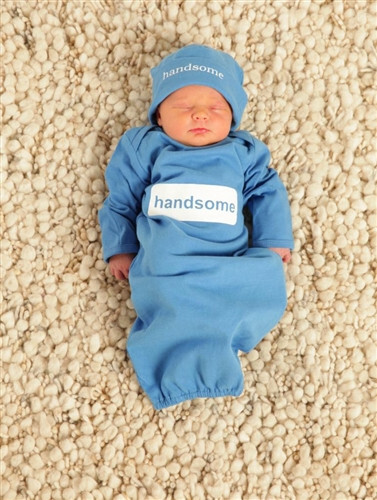 Designed by Babybemine maternity. 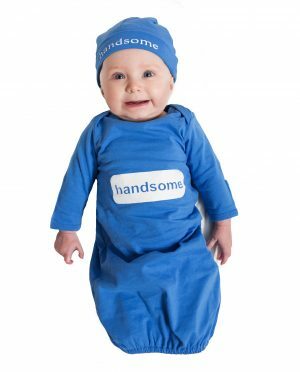 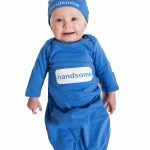 These cute newborn romper and hat sets by babybemine maternity make a cute and comfortable first outfit or going home outfit for your new baby. 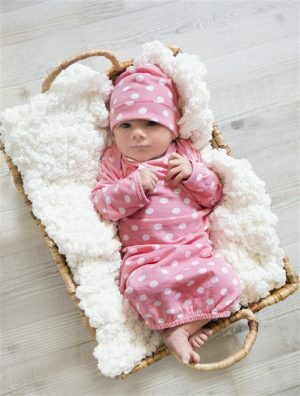 There are no scratchy tags to irritate baby, the cuffs fold down into mittens to protect baby from scratching themselves, and the entire set is made from 100% comfortable cotton.